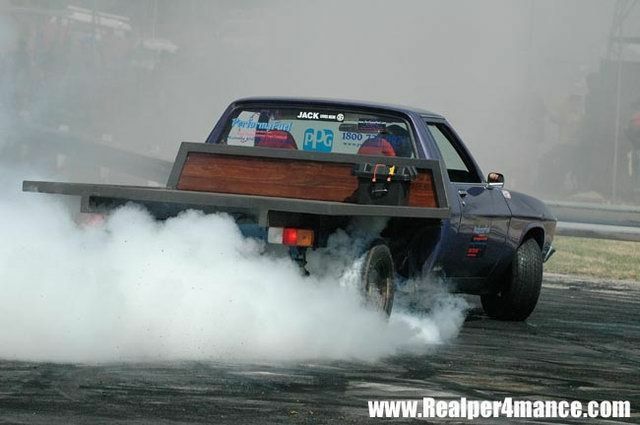 Burnouts seem to be a lot of fun and we promote this practice ONLY in designated areas. Don't be tempted to do it on a public street, as the Police will not be happy with you. This page is dedicated to activities that are just for fun, and it's also to prove that reliability is an important issue. So Have Fun but be Responsible. Not sure how they breath but hey he's having fun. Brad is the man to go to for Commodore performance issues as our dedicated Dyno Dynamics Dynamometer Room is available to help sort out many issues before they become problems. All Photos expand to show more detail when you click and select them! "Click on any images for them to open up in detail"
This Vehicle (below) belongs to our Mature Age Aprentice, Steve Cosier. Steve has always wanted to be a Mechanic and has been tinkering with cars since his teenage years, Brad has given him the chance to be employed as a mature age (42 years old) apprentice... but....Steve has decided to move on to other pastures and as of 23/5/2016 is no longer part of Brad's Garage. We wish him well and good Luck! 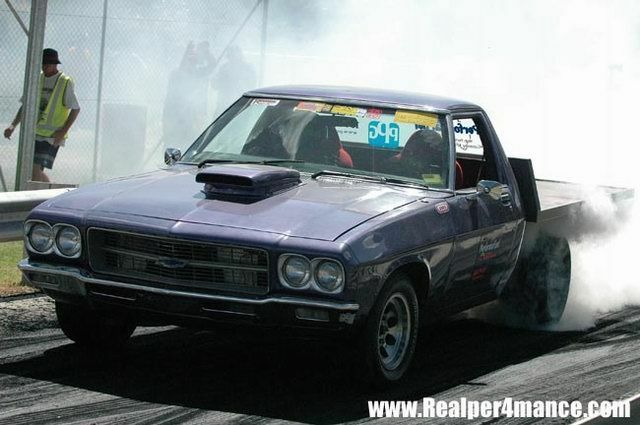 Steve Cosier with Blue & Pink Smoke?? 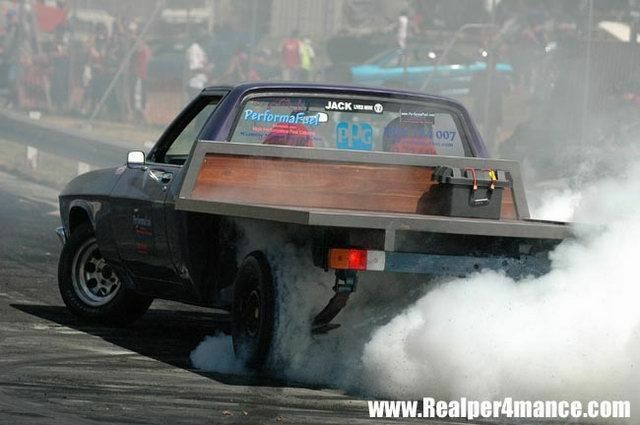 These images below are from a previous Burnout event at Kandos about 2012?